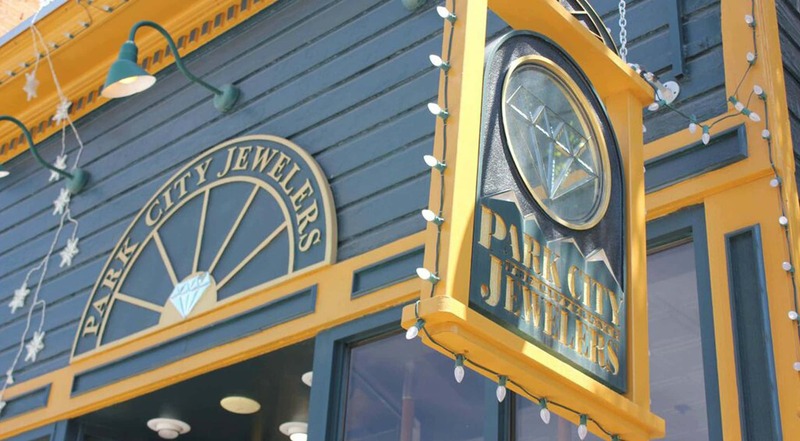 Shop for unique handcrafted jewelry at Park City Jewelers where craftsmen create original designs on site. No import fees or middlemen so pricing is based on each individual piece. Do you have an idea for custom jewelry? Our craftsmen can make it for you. How about a ring made with original dinosaur bone? Special features include original diamond Park City snowflake designs, a signature piece of our craftsmen. On premises Park City jewelry repair, another feature at our store located on historic Main Street. Choose from bracelets, necklaces, earrings, charms, pendants and rings in various motifs of elk ivory, pearl snowmen, Utah wildlife, mountains, equestrian, sea life and Celtic knots. Our craftsmen use 14 karat yellow and white gold with precious stones and gemstones to create stunning handcrafted pieces. Jewelry repair Park City where your jewelry stays on premises until you pick it up. We do not outsource repairs.